Hotmart Producers can come in different forms. They can be independent authors, bloggers, or even companies! 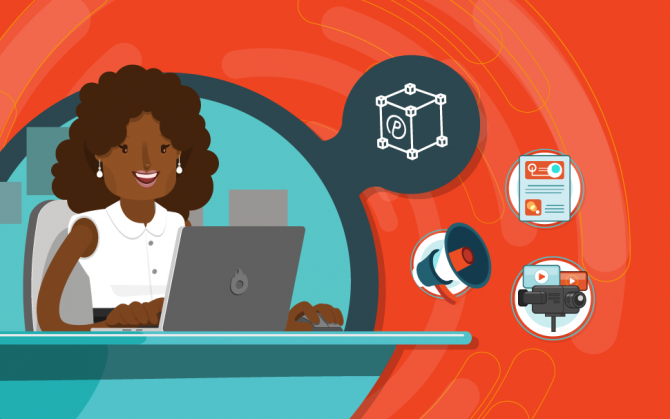 Read on to find out what the Producers are, and what features they will find at Hotmart, your content distribution platform. Hotmart Producers are the people or companies who wish to publish some kind of digital content to be sold online. A digital content producer can be an Independent Author or a Blogger who has just finished writing his or her ebook, or has created a screencast teaching people how to use a certain kind of software. Or it could be a company, such as a Publishing House that wants to increase its sales making digital books available to be sold by Hotmart Affiliates. Create your account right now! What sort of content can be sold? With Hotmart, it is possible to sell two different kinds of Digital Content:Downloadable Files: ebooks in PDF or ePub format, a variety of documents (.doc, .rtf), audiobooks and music (mp3, wma), video-lessons, lectures and screencasts (MPEG, FLV, MOV, WMV), software (.exe, .msi), images, scripts and any other kind of computer files that can be downloaded online. Membership to Members Areas: Private clubs, Sites with restricted content, Coaching clubs or any other kind of site whose Producer wishes to sell the Access to the user and charge a membership fee. In this case, the Producer may integrate his or her registration system to the Hotmart Platform, so that access to the sites is automatically cleared or blocked (to learn more about this functionality, contact our support team). You can publish products from any niche, as long as they are in accordance with our approval policies. Before publishing your product, please read about our policies here. The first thing you will do as a Producer is to publish a digital product with Hotmart. Define the business model of your product. In this step, you will decide, for instance, if the product can be sold by affiliates and what the commission fee will be. Publish the content of the product. Here you will add the files that compose your product (in case the content is made of Downloadable Files), or set up the configuration for integration with Members Area) (in case the content is the Access to Members Area). In the case of the files, they can be of any kind, and you can upload up to 20 files, each of up to 200MB. As soon as you have uploaded a product, it will be sent to the Product Review Team at Hotmart. Hotmart will verify many aspects in product registration, as well as its content, in order to see if they comply with the platform policies. After this review, the product is up for approval and will have its Blueprint level calculated, or it is not approved and cannot be sold through Hotmart. Learn more about the review process here. You can create a Sales Page for your product in a very easy way, in a few minutes. Just fill out the form and your Page will be ready in no time. This page can be used by you and your affiliates to sell your product. The easier it is for the affiliates, the more affiliates you will get, and so your sales volume will increase even more! It is also important to make sure that all the relevant information for the buyer is available on your Sales Page. This is one of the items checked in the Revision. Make sure that the main characteristics of the product are explained in the Sales Page. Standard model: this is the standardized model at Hotmart. If the Producer does not make any changes to the setting, this is the model that will be used. It offers options to display a header for the product with the main information, and buttons to promote on Facebook and Twitter. The Producer can also change the background. At the end of this page there are recommendations of other products that you as an affiliate, promote. These links are connected to your affiliate hotlink, so if any sales are made from these recommendations, you will earn the commission. External Sales Page: the Producer may choose to sell on his or her own website. In this model, the affiliate hotlinks will redirect the buyer to the Producer’s website, and the “Buy” button should be linked to the sale completion at Hotmart. This way the affiliates will also get their commissions. We will process all your sales, you don’t need to worry about processing payments or checking if the payment made by the buyer is confirmed or not. We will take care of that for you. Hotmart will automatically deliver the product to your client, as soon as the payment is confirmed. You don’t need to worry about the delivery and your client will be happy to receive the product quickly. We guarantee the safety of the transaction to you and your client. There is no risk of the product not being delivered after a sale has successfully been made, and there is no risk the client will receive the product without a confirmed payment. You can start selling your product immediately, through your direct sale Link or your Sales Page. You can customize all the Sales Page of your product, in a simple and quick way, as if you were writing an email. This page is immediately made available by Hotmart for every product you publish. And don’t worry, you don’t need to manage the payment process for your affiliates! Hotmart will manage the sharing of the commissions immediately. To every sale made, the Producer’s and the Affiliate’s commissions are transferred to their respective Hotmart accounts! Your account with Hotmart is FREE. There is no initial investment, no monthly fees, and no limits or restrictions to how you use it! Just like you and your Affiliates, Hotmart gets a small commission for every sale. Hotmart only earns if you do! What are you waiting for? Create your account right now! 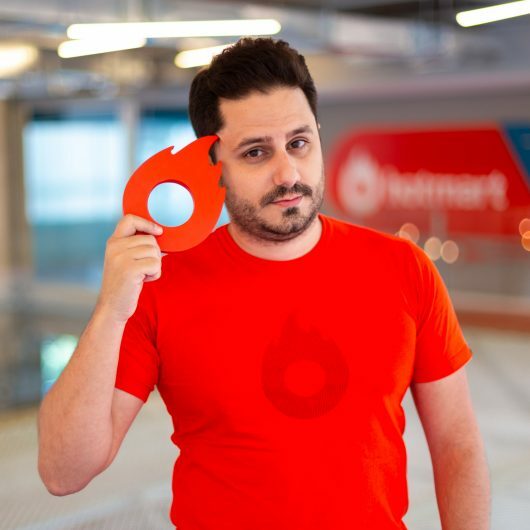 João Pedro Resende is the CEO and co-founder of Hotmart, an e-commerce platform for digital products. Step by step to start using this social media in favor of your business. What is a Landing Page and what do you need to create yours? Creating a landing page is a great way to attract people to get to know your product. Learn now how to create yours!